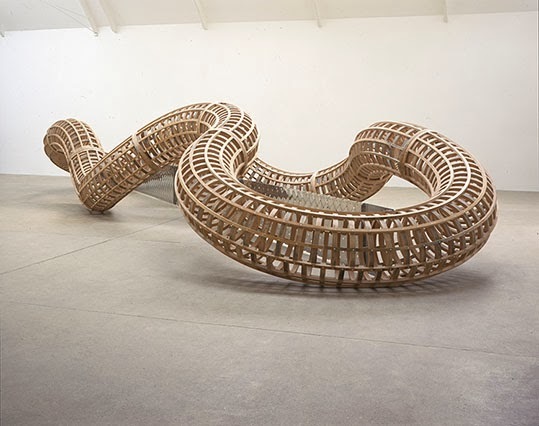 After by British sculptor Richard Deacon (b. Bangor, Wales, 1949) features in the Richard Deacon exhibition at Tate Britain, London. The show runs from 5 February - 27 April 2014. Deacon is known for his open structures whereby form is defined by boundary or edge as opposed to shape itself. After is a large undulating piece which balances material, volume and space in a manner that plays with the viewer's sense of interior and exterior.